The services provided by Chaplain James Occhipinti for the past 25 years have been invaluable to the members of the Fraternal Order of Police, Lodge #10, located in Toms River, N.J.
Chaplain Occhipinti has also assisted law enforcement personnel with job-related issues, such as post-traumatic stress, marriage and family problems, and has been frequently called out to support and assist law enforcement with death notifications, suicides, fatal traffic collisions, death of a child and other difficult situations. This esteemed person has also assisted and ministered to members of the Ocean County Sheriff’s Department and the Ocean County Prosecutors Office. 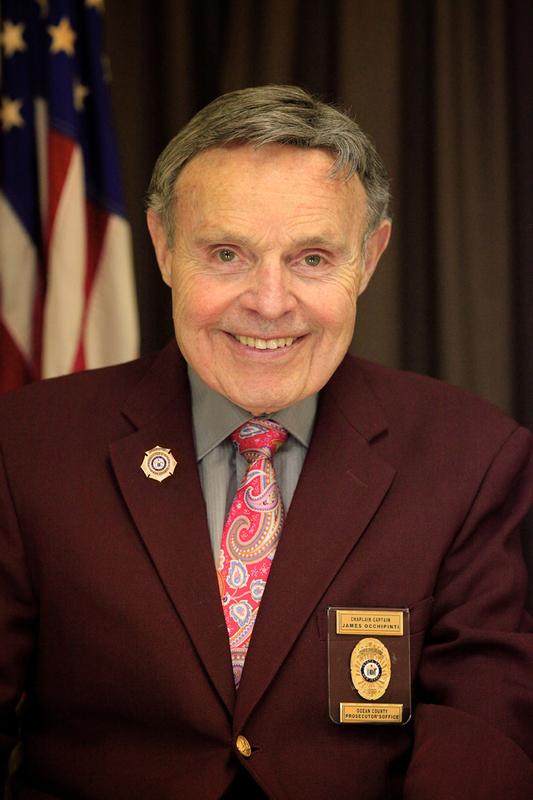 Chaplain James Occhipinti has announced his retirement as minister to the Fraternal Order of Police, Lodge #10. Be it resolved that we the Executive Board and all the Members of the Fraternal Order of Police, Lodge #10, do hereby honor Chaplain James Occhipinti for his years of service to our members and the Law Enforcement Community of Ocean County, N.J. for which he has served so faithfully all these years, and we do commend his service to all of the citizens of the State of New Jersey as well.